The drug conspiracy stretched across the country, as Kansas drug dealers obtained drugs from Northern California and brought them back to Lawrence, court documents allege. Several of the defendants in the case lived and worked in portions of Northern California known for marijuana production. 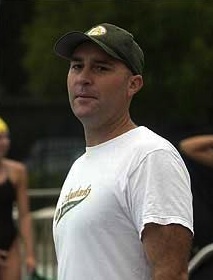 Mike Soderling in 2004 overseeing an early morning practice by the Aquahawks. Through the years, many of Soderling's swimmers went on to swim at major universities around the country. 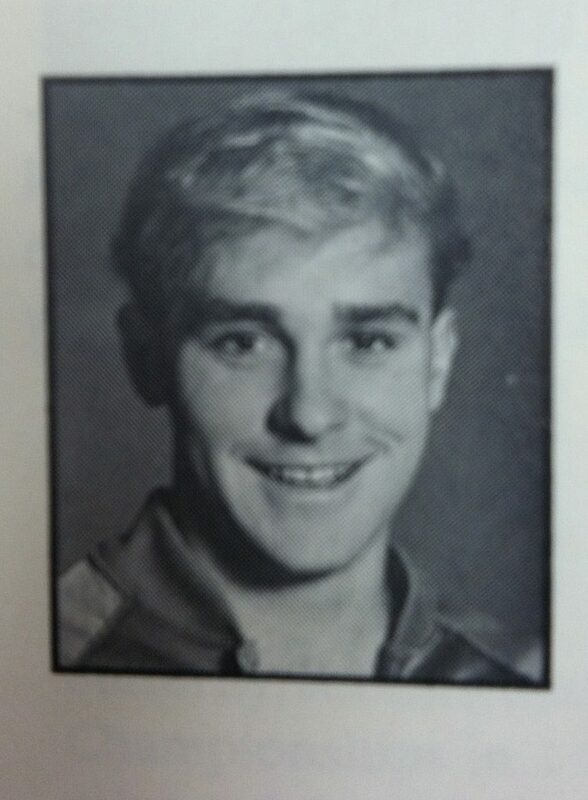 1988 KU Swimming and Diving photo of James Mike Soderling. • 2006: Several major players in the local drug trade start buying high-grade marijuana in California to sell in Lawrence, finding the prices in the west lower than in Mexico or Canada. • 2009-2011: Wayne Swift, a Kansas City-area drug trafficker, moves to Hayward, Calif., and opens the business California Connections as a front for drug smuggling. Former KU swimmer and Lawrence man James “Mike” Soderling moves out to Fort Bragg, Calif., and begins supplying drugs to people with Kansas links. • November 2011: Soderling tries to ship marijuana and methamphetamine to a home he rents in Lawrence. However, that shipment is intercepted by federal authorities. • February 2012: Several people connected to the alleged Dahda brothers drug ring in Lawrence travel to Hayward, Calif., to pick up drugs from Swift at California Connections. Police observe several shipments of drugs from California Connections being delivered to the Kansas City area via Estes Shipping. • June 2012: More than two dozen people, including the Soderlings, are arrested in Lawrence and the Kansas City area as part of a larger drug conspiracy case. • November 2012: A handful of Mendocino, Calif., residents, such as Keller and McMillan, are arrested by U.S. Marshals and indicted in the larger drug case. Click here for an in-depth timeline of the case. • James Michael Soderling, 43, Fort Bragg, Calif., and Lawrence: Former head of the Lawrence Aquahawks and the Topeka Swim Association, as well as a former KU swimmer, Soderling is identified in court documents as a “high-grade marijuana broker.” Soderling allegedly helped secure drugs for Park and others in Kansas, and also planned to distribute drugs in Kansas. Pleaded guilty to several charges in the case in February, and is currently free on house arrest in Kansas. Sentencing has not yet been scheduled. • Sarah Soderling, 35, Fort Bragg: James Soderling’s wife who helped in the drug conspiracy. 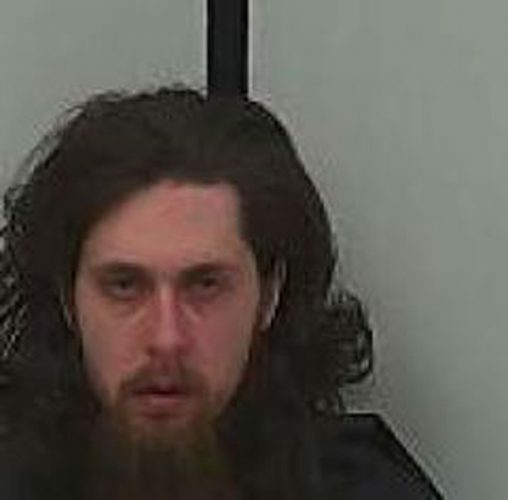 Pleaded guilty in February to drug conspiracy and is currently free on a $25,000 bond. Sentencing has not yet been scheduled. • Erin Keller, 47, and John Paul McMillan, 48, both of Mendocino: Couple is accused of supplying large quantities of marijuana to Bauman, as well as transporting drugs to Kansas on several occasions. Both are long-time EMT’s in the Mendocino area, as well as members of the Mendocino volunteer fire department. Both were arrested in November, but neither has pleaded or been convicted in the case. • Richard W. Smith, Mendicino: Was allegedly a major supplier of marijuana to Bauman, including a 2012 shipment of more than 200 pounds. Arrested in November, Smith has not pleaded or been convicted in the case. • Henry “Hank” McCusker, Mendicino, 48: An amateur golfer and owner of the Sweetwater Inn, a bed and breakfast in Mendocino, McCusker is accused of supplying Lawrence drug distributor Chad Bauman with drugs on various occasions. In May, he pleaded guilty to a drug conspiracy charge. • Jeff Wall, Mendocino: Mendocino-area contractor who allegedly supplied marijuana to Bauman. Has not pleaded guilty or been convicted in the case. 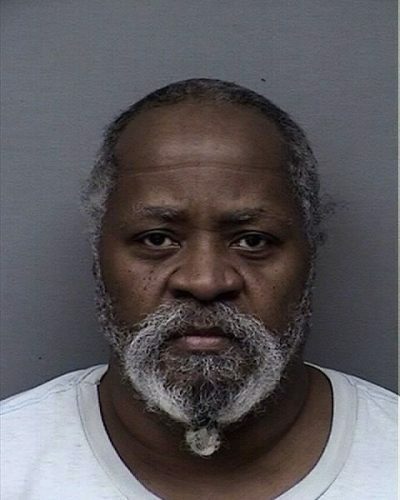 • Wayne Swift, 40, Hayward, Calif.: Operated the business California Connections in Hayward, Calif., as a front for the drug operations. Originally from the Kansas City area, Swift moved to California with the intent to set up suppliers for alleged Lawrence and Johnson County drug distributors Bauman, Park, and the Dahda brothers. Pleaded guilty in January to drug conspiracy, but sentencing has not yet been set. Is in federal custody, being held without bond. The thousands of pounds of high-grade marijuana that fueled a local drug-selling network arrived via a fertile pipeline from the “Emerald Triangle,” a tri-county portion of Northern California known for prolific pot production. Through a sophisticated web of drug distribution involving fictitious businesses and a steady stream of Lawrence-area drug couriers, marijuana barrelled east to the Lawrence area, while millions in cash headed west to California, according to court documents. A former Kansas University swimmer and Lawrence swim coach, an emergency medical technician and volunteer firefighting couple, and an amateur golfer/bed-and-breakfast hotelier were among those wrapped up in the multistate federal prosecution, which has come to include more than 40 defendants. James “Mike” Soderling was well-known in Lawrence as a hard-driving, successful swimming coach who won numerous honors in the late ’80s and early ’90s swimming for the KU swimming and diving team. “I always thought the world of him,” said Gary Kempf, former KU swimming and diving head coach, who coached Soderling — a team captain — between 1988 and 1992. Kempf described the former high school All-American who specialized in the 500- and 1650-yard freestyle as a hard worker. After his swimming career at KU, Kempf hired Soderling as an assistant and expected the young man to become a successful coach. After a few years of coaching at KU, Soderling was hired to head the Lawrence Aquahawks, a local swimming training program for youth. Year after year, he pumped out a steady stream of state champions and Division I college swimmers, scattered among prominent college swimming teams across the country. It’s unclear how Soderling went from a successful swimming coach to a “high-grade marijuana broker,” as court documents described him, in just a few years. Soderling resigned from the Aquahawks in 2009, and took a position with the Topeka Swim Association. He worked there until August 2010. At some point, Soderling, originally from southern California, moved to Fort Bragg, Calif., with his wife, Sarah Soderling, and court documents allege that the two began supplying marijuana to others involved in the larger drug case. Soderling was one of several suppliers from the Northern California region, but he also handled some of the drug transporting himself. In 2011, authorities intercepted a mail shipment of marijuana and methamphetamine Soderling sent from California to a home he rented in Lawrence. Kempf said he lost track of Soderling several years after he left KU, but had heard about the drug case and his former swimmer’s alleged involvement. “Surprised and disappointed,” he said. Soderling has pleaded guilty to several charges in the case. His attorney declined to comment. While the Soderlings were arrested in June 2012 with the first batch of defendants in the larger drug case spearheaded by the Drug Enforcement Administration and local police, several other defendants — all California residents — were arrested a few months later, this past November. But who said what, and who rolled on whom, isn’t clear. From various interviews, authorities received enough information to arrest a handful of residents of Mendocino, a Northern California town of fewer than 900 residents. The surrounding area is known for high-grade marijuana growing. Among those implicated and later arrested were Henry “Hank” McCusker, an amateur golfer and owner of the Sweetwater Spa and Inn bed and breakfast, as well two EMTs and members of the Mendocino volunteer fire department: couple Erin Keller and John Paul McMillan. The couple, which operated their own growing operation and knew the Soderlings, are accused of supplying drugs that would eventually wind up in the hands of Kansas City and Johnson County-area businessman Peter Park, an alleged drug supplier also indicted in the case. “They are both caring people,” said Ed O’Brien, chief of the fire department and owner of the Compass Rose, a leather goods store in Mendocino, of McMillan and Keller. O’Brien said the couple, who allegedly began transporting marijuana to Kansas in late 2010, remain on the fire department, and he’s known both for about a decade. News of the arrests brought “a lot of sadness” to the community, O’Brien said. McMillan’s lawyer could not be reached for comment. Zenia Gilg, a San Francisco attorney representing Keller, said her legal team still is assessing the case and collecting information about her client’s alleged involvement. But, on the surface, Gilg took issue with the overarching indictment, which alleges her client, and the others from the Mendocino area, were involved in a much larger conspiracy thousands of miles away from their hometown. “The way this was charged with so many defendants and so many charges seems unwieldy,” she said. Keller and McMillan are well-known figures in the Mendocino area, O’Brien said. Keller operates Erin Keller Home, an arts and crafts store near Mendocino, and McMillan is certified in water rescue as part of his role with the fire department. Unlike several of the local defendants in the case, neither Keller nor McMillan had a criminal record prior to their 2012 arrests. “Well, they’re from California,” O’Brien said. “It is different.” By different, O’Brien cited the marijuana culture and relaxed laws in his state that allow for the use of medicinal marijuana. Just down the street from his shop are two medical marijuana stores, O’Brien said. According to court documents, the man in charge of organizing and shipping the larger quantities of marijuana from California to alleged conspirators here, such as Chad Bauman, a Lawrence businessman convicted of drug trafficking, and local twins Los and Roosevelt Dahda, also indicted in the case, was Wayne S. Swift, formerly of the Kansas City area. 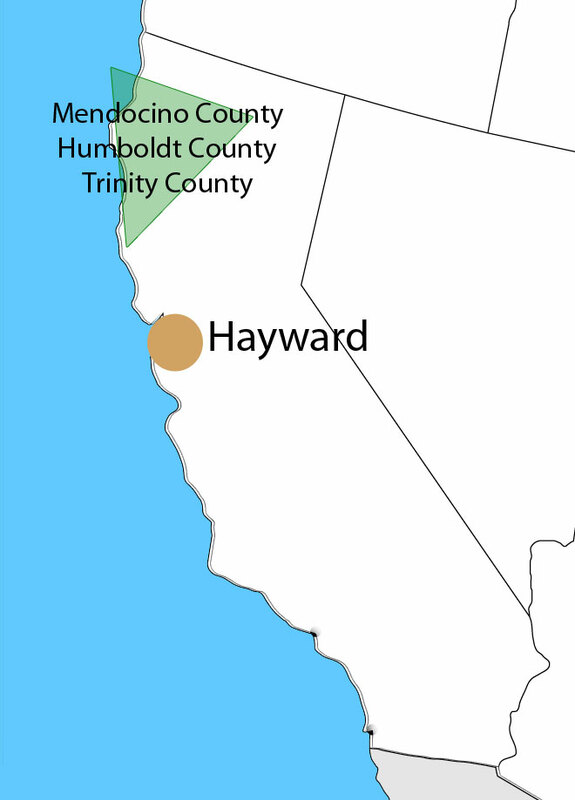 At some point, Swift moved to Hayward, Calif., about three hours south of Mendocino, connected with people such as the Soderlings, Keller and McMillan, and turned an auto parts business into a hub for drug trafficking back to Kansas. Swift’s business, the aptly named California Connections, had a Kansas City-area branch. According to court records, he was already shipping large crates of wheels and other parts between Hayward and the Kansas City area, and that provided a convenient cover for storing and smuggling drugs. Sometimes, the drugs would be mailed, but other times teams of couriers would mule the drugs and money cross country, with contraband hidden in secret compartments in the vehicles. In April 2012, investigators, aided by intelligence from the wiretap, were able to watch an alleged shipment of drugs from start to finish. Agents watching the California Connections headquarters in Hayward saw Swift loading a crate into a truck. A few days later, agents in Kansas City watched his business partner at the Kansas City branch unload it. The alleged transaction included many of the major players in the larger conspiracy, and recordings of their phone chatter throughout the deal would play a prominent role in the government’s case. The idyllic Mendocino area, situated on cliffs overseeing the Pacific Ocean and home to the Mendocino Headlands State Park, is home to an unusual number of out-of-state license plates and rental cars, according to Mike Sena, director of the Northern California High Intensity Drug Trafficking Area. “They’re not there to go hiking,” said Sena, who coordinates efforts to combat drug trafficking in the region. The area is a hot spot for growing large amounts of high-grade marijuana. The local and state laws are different, with medical marijuana laws on the books, and there is minimal legal risk associated with growing the drugs, he said. In the past, drugs were smuggled up from Mexico. But with the ease and abundance of marijuana grown and supplied in Northern California, it’s a natural pick-up point for out-of-state smugglers, who buy up large quantities and haul it back to their respective areas, Sena said. Court records allege that Keller and McMillan operated a small growing operation in the Mendocino area, but at some point upped the ante on their operation, acquiring larger amounts of drugs from various area sources to supply to Bauman’s drug-dealing operation in Lawrence. For local growers who supply medical marijuana shops, the allure of big money is sometimes just too much to resist. “There’s a huge profit margin,” Sena said. At times, court records allege that Bauman was facilitating the smuggling of hundreds of pounds of drugs via the California pipeline, which isn’t unusual, Sena said. “A few hundred pounds is no problem,” he said. The Soderlings have both pleaded guilty to drug conspiracy charges, and await sentencing. But several others from the Mendocino area, such as Keller and McMillan, have not pleaded or been convicted in the case. Many have been released on bond, pending additional court hearings. Trial dates have not been set. Tomorrow: Two local business owners, and lovers, funneled thousands in drug proceeds through a tanning salon and carpet cleaning business.